With growing public interest in the exploration of Mars and a human mission to the Red Planet, the Mars Society invites you to participate in a special AMA (Ask Me Anything) r/Space session with its president and founder Dr. Robert Zubrin on Friday, November 16th at 1:00 pm MST (3:00 pm EST / 8:00 pm GMT). As a top Mars advocate and one of the world's leading experts on planning a mission to Mars and eventual human settlement of our nearest planetary neighbor, Dr. Zubrin will be available to answer as many of your questions on these topics as possible. 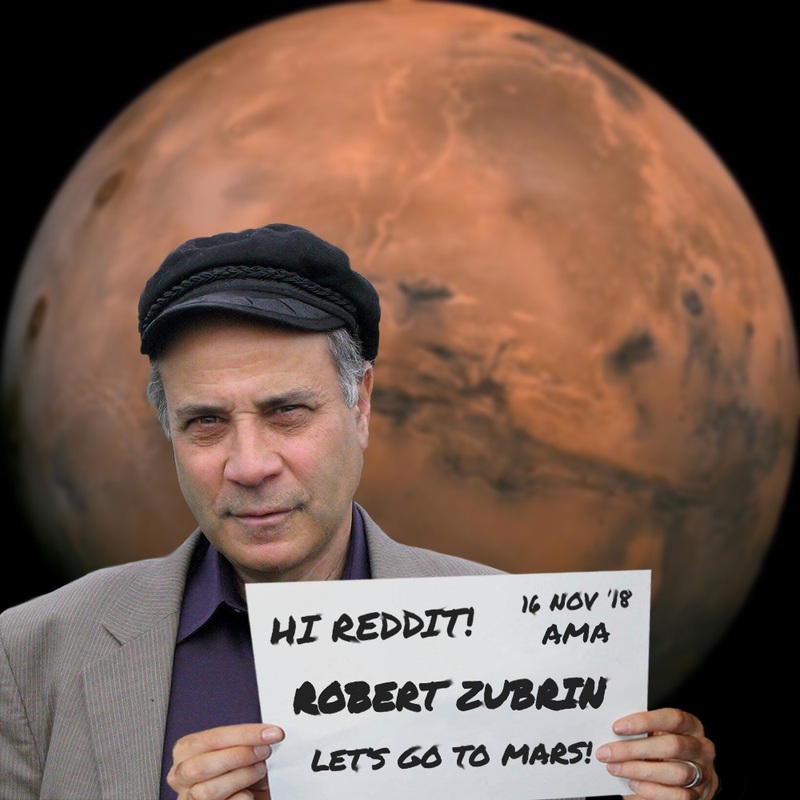 Join us at: https://www.reddit.com/r/space (DrRobertZubrin). Thank you!